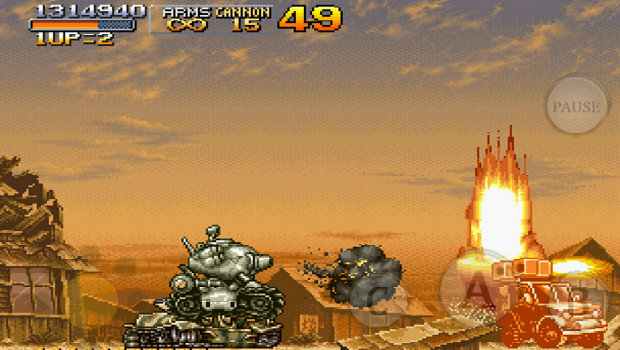 Metal Slug 2 is now available for download on iOS and Android devices for $3.99, SNK Playmore today announced. SNK touts the release as a "perfect port" of the original Neo-Geo title, though there are new features included, such as Mission Mode, where you can re-play previously cleared levels, a new auto-fire option and the ability to re-position the on-screen buttons. Multiplayer via Bluetooth is also on offer, as well as leaderboard support.